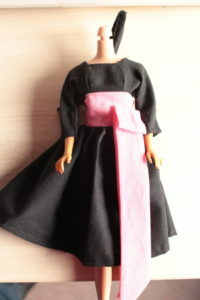 Last year I wanted to buy a Let’s dance Vintage Barbie dress but most of the sellers refused to ship to Europe. 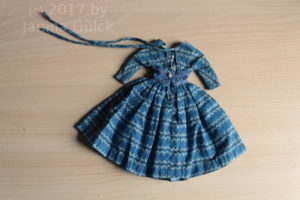 So what kind of idea came into my mind? If I can’t buy one, why not do my own copy? 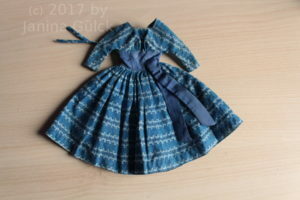 I found a seller who recreated the pattern and bought it. Finally I found the real Let’s Dance. Another collector from Europe had one left over. 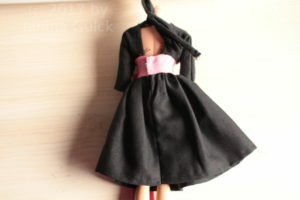 Do you know what characterizes a Ponytail No.1 Barbie doll? 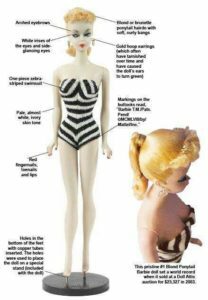 Well, there are some characteristics that you should know to be sure to recognize a Ponytail No.1 Barbie doll. Do you want to know them? 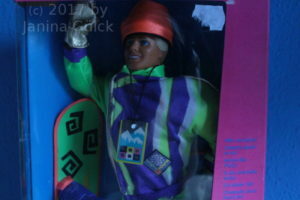 Last week I was able to complete my Ski Fun series after almost 25 years. I didn’t it in the long term. It just happened. 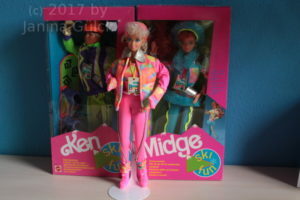 So now I have the the Ken, Barbie ( from my childhood, her Ski is missing on the pic but I have it) and the Midge …. 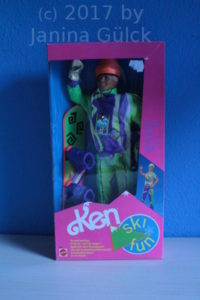 that I always wanted so badly but I never got her. 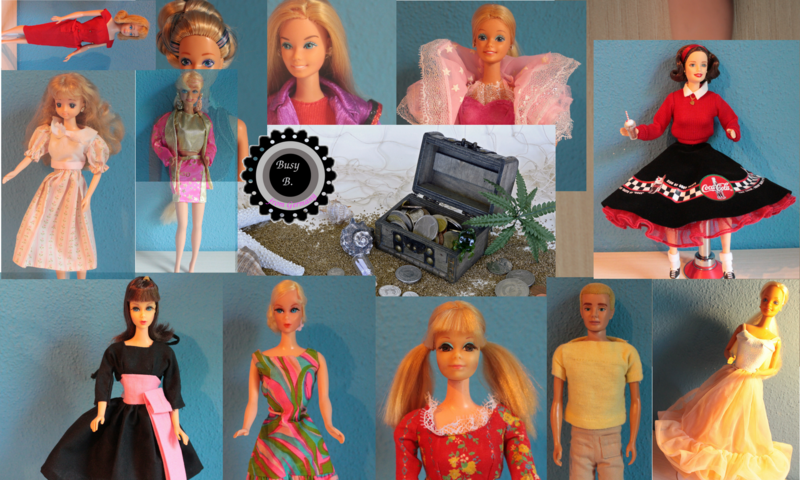 Poor me… had to grew up before I was able to buy her. Anyway now I can play with Barbie, Ken, Midge, Snowball( the dog) , Blizzard ( the horse), the carriage (carriage + sleigh) and the Chocolate Shop.